A bold damask scroll atter, this tried and true classic is now available in 100% polyester! 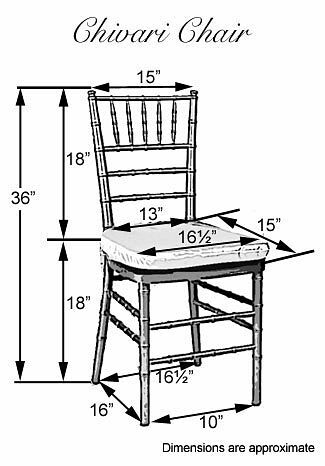 Here are the dimensions our chivari chair covers are designed to fit. If you are unsure which cover you will need, we recommend you order a sample for fitting purposes before placing an order. Please contact us for more information.